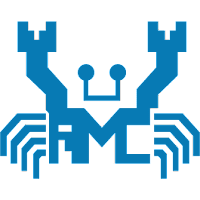 Realtek AC'97 Audio Driver contains the latest audio drivers, software, and utilities for the Realtek AC97 audio controllers. The package includes Driver/Application Setup Program; RtlRack for Win98/Me/2000/XP/Vista/7 and AvRack for Win95/NT4; Realtek Sound Effect Manager. DirectX 8 is required to enable advanced features. Realtek Semiconductor Corp. is a fabless semiconductor company situated in the Hsinchu Science Park, Hsinchu, Taiwan. It was founded in October 1987 and subsequently listed on the Taiwan Stock Exchange in 1998. Realtek currently manufactures and sells a variety of microchips globally and its product lines broadly fall into three categories: communications network ICs, computer peripheral ICs and multimedia ICs. As of 2015, Realtek employs 2,500 people, of whom 78% work in research and development. Note: sound drivers for a new generation of Realtek audio: Realtek High Definition Audio Drivers. Note: You can also download the Drivers from the official Realtek site. Disclaimer: Direct downloads for the lastest version of Realtek AC'97 Audio Driver A4.06/6305 are provided by the official software's author, we can't guarantee safety, availability or download speed. Moreover, we don't and we won't provide any pirated/illegal versions or tools. We recommend you to avoid it as these methods can harm your device. If you like the software, buy it to support the developers. (We provide software discounts for many worldwide brands).